The Carnegie Hall Bill is a piece of legislation that allowed the City of New York to acquire Carnegie Hall in order to preserve it. People: MacNeil Mitchell, Robert E. Simon, Jr. The Carnegie Hall Bill was a piece of legislation put forth in early 1960 with the intention of saving Carnegie Hall from the wrecking ball. New York State Senator MacNeil Mitchell sponsored the bill and helped with its passage through the state legislature.1 The Carnegie Hall Bill allowed New York City to acquire the threatened building in order to preserve it. 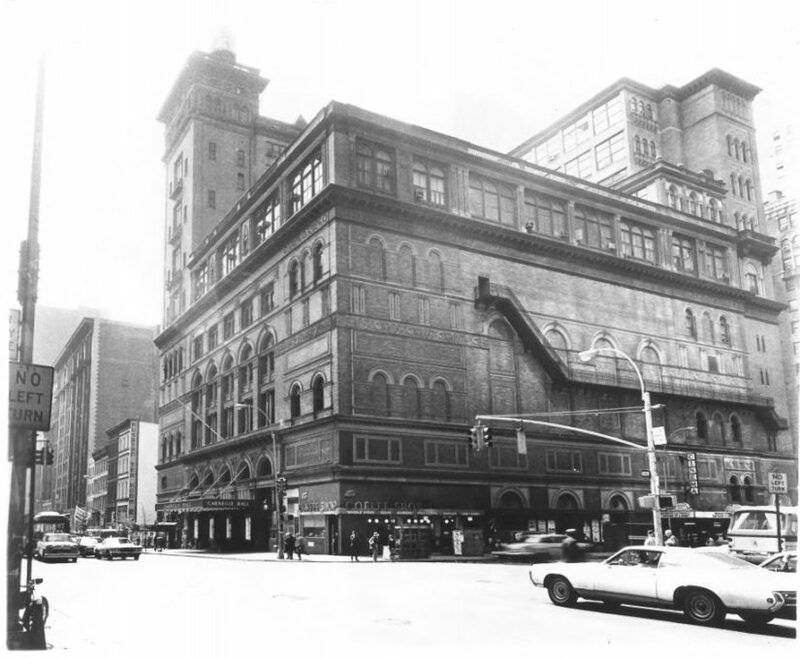 On January 5, 1960, Robert E. Simon, Jr., owner of the controlling interest of Carnegie Hall, announced that the building had been slated for demolition after nearly 70 years as a cultural institution in New York City.2 Immediately New Yorkers began defending the institution and by February a citizens committee had been created. Still, the public interest alone was not enough to preserve the building. Although inspired by the battle to preserve Carnegie Hall, the bill was drafted in such a way that it could be used for future preservation battles. The bill gave the power to any city in New York State "to acquire by condemnation any 'property with historic or esthetic interest or value.”4 In a few short weeks the bill was passed by both the state assembly and senate, thereby creating a means by which Carnegie Hall could be saved. Anthony C. Wood, Preserving New York: Winning the Right to Protect a City’s Landmarks (New York: Routledge, 2008), page 254. ”Saving of Carnegie Hall Enabled in Bills Signed by Rockefeller,” The New York Times, 17 April 1960. ”Saving Carnegie Hall,” The New York Times, 21 March 1960. ”Carnegie’s Lights Look Brighter,” The New York Times, 19 April 1960. ”Lights Up at Carnegie Hall,” The New York Times, 2 May 1960. ”Carnegie Hall Is Bought by City; Philharmonic Will Stay There,” The New York Times, 1 July 1960.